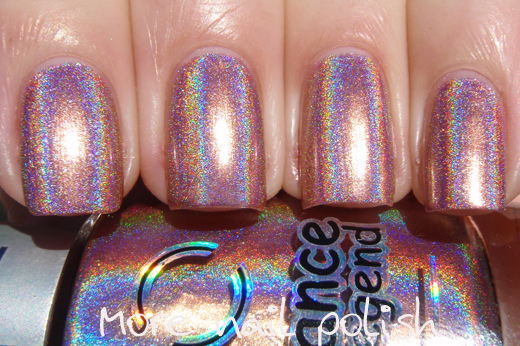 Remember way back at the beginning of May I showed you two of the Dance Legend Holo polishes? At the time I said I was so impressed with them, that I had just ordered a whole bunch more of the other colours. 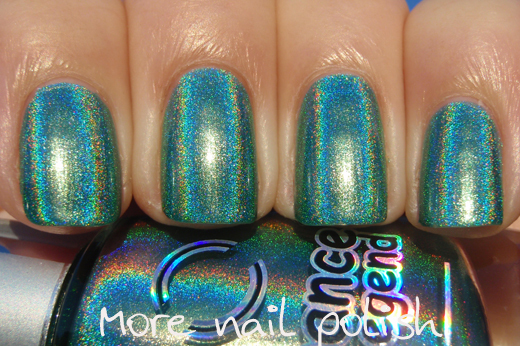 Then remember at the end of July when I posted about some of the DL Thermo polishes and I said that it had been 10 weeks since my Dance Legend order had been shipped and I still hadn't got it. I didn't think my package was ever going to arrive. But then, another three weeks later, and at a total of 13 weeks (or just over three months) my package arrived! I'm guessing that my package must have been shipped by sea mail, cause there was no air mail stickers on the package, and three months is consistent with the normal sea shipping times. After my long, long wait I was very happy to have my order in my hands. 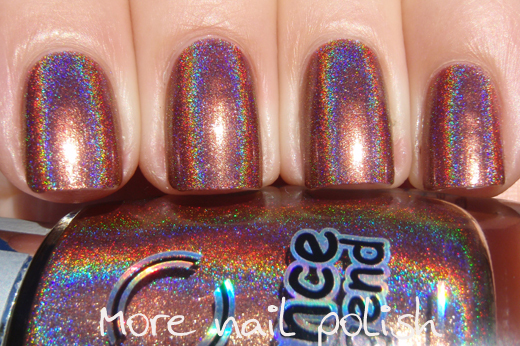 I didn't buy all the holos, only the colours that really appealed to me. I skipped most of the pink shades. So lets have a look at the ones I got. T-1000. 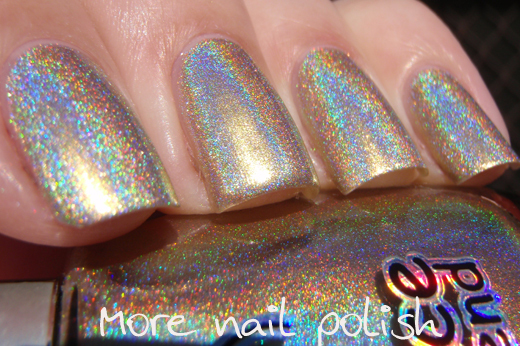 Firstly I just have to comment on the name of the polish. I freaking love it! 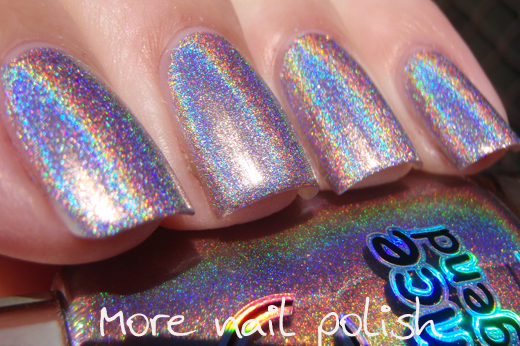 A polish named after a terminator, even the boys would approve of this one! 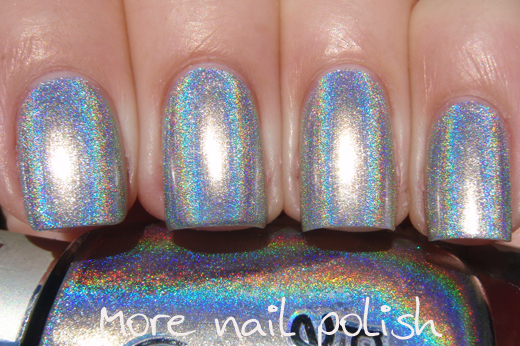 Polish wise, this is a classic silver holo, and considering I have more than enough silver holos to put a different one of every finger for three days straight, did I really need another silver holo. 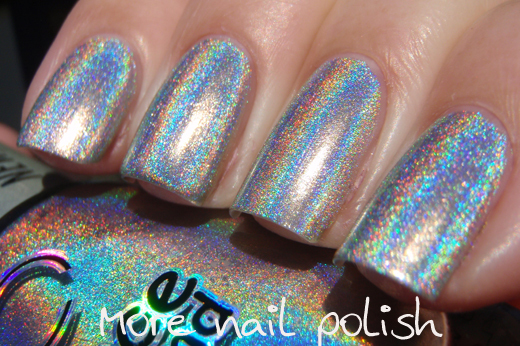 No I didn't, but I had to get this polish because of it's name, and the good thing is, is that it is a superb silver holo. 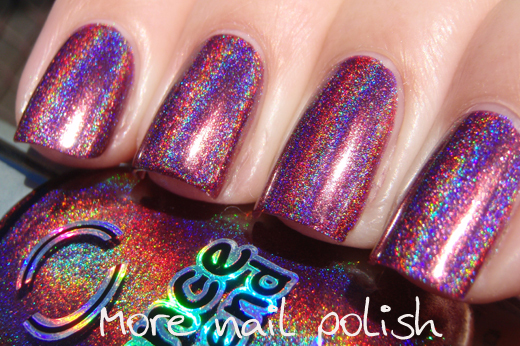 Great pigmentation, opaque in two coats, excellent non dragging formula and an incredible holo flame. Enough said. Optic Illusion - dark burgundy violet. Just a stunning colour sometimes it looks more wine coloured and other times it looks more purple. 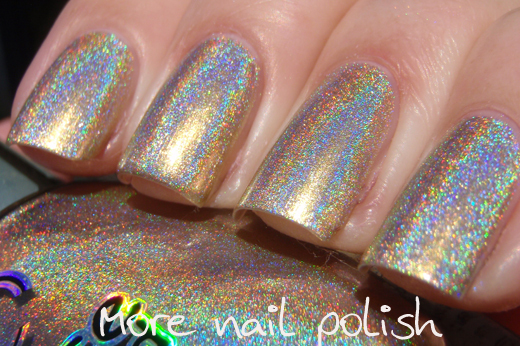 Again, excellent opacity, formula and flame. 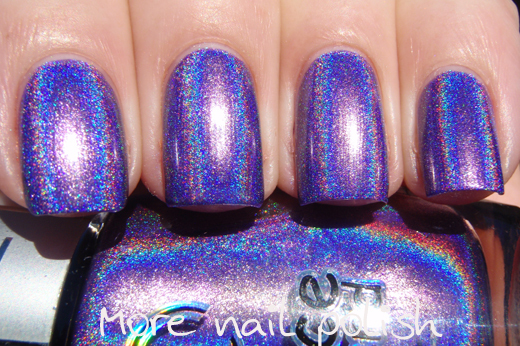 Teleportation - a pastel lilac purple. 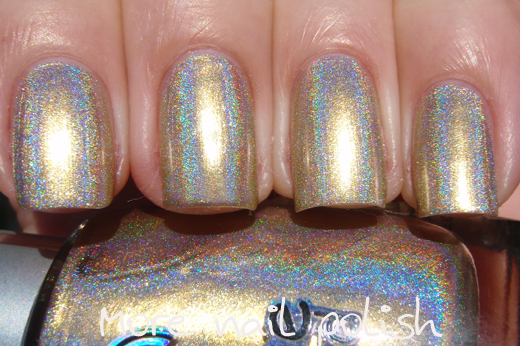 New Messiah - pale gold. 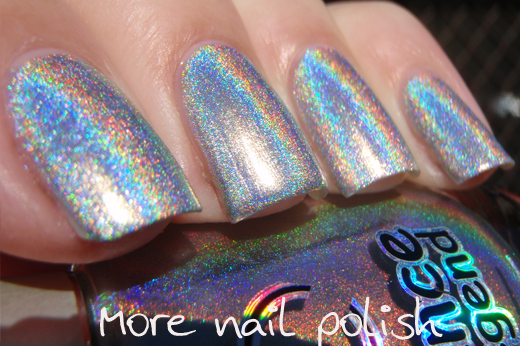 I'm so in love with this polish. It's just the sort of gold shade that I love, a platinum cool toned gold. 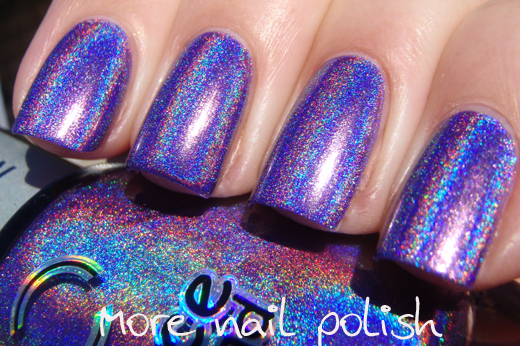 The holo flame isn't quite as strong in this polish as the others, but it still is a very strong linear holo. Fantastic Trip -soft pastel peach. This is the only pinkish one I bought and it is certainly more of a coral colour with orange undertones. 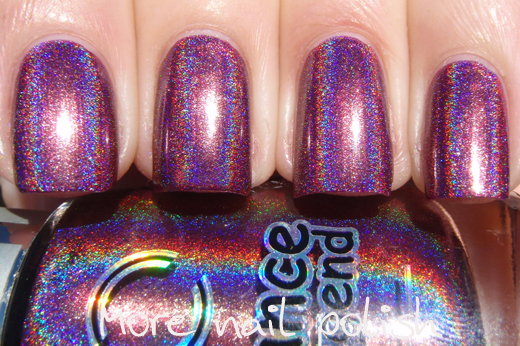 Cosmic Rainbow - bright and vibrant purple. This one (together with the New Messiah) is the one I was looking forward to most. 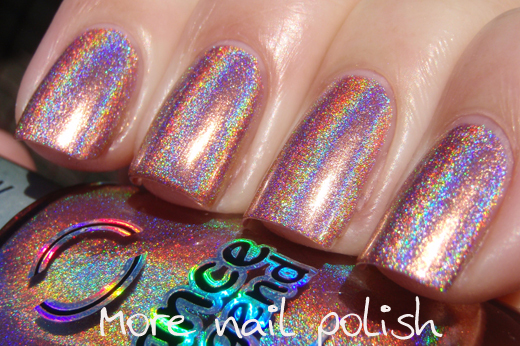 It's much more vivid and bright than Color Club Eternal Beauty. 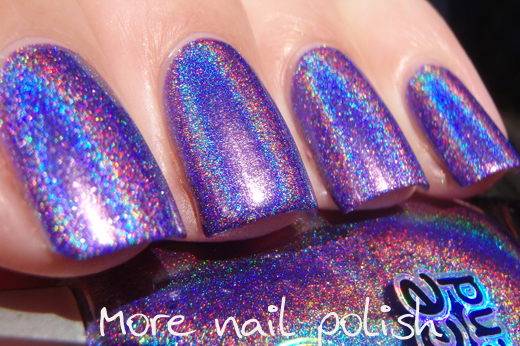 This is one of those polishes that truly is distracting! 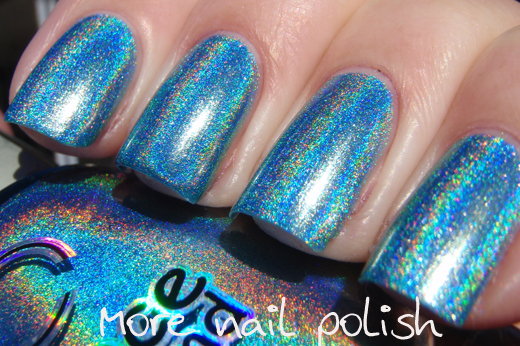 High Voltage - bright medium blue. 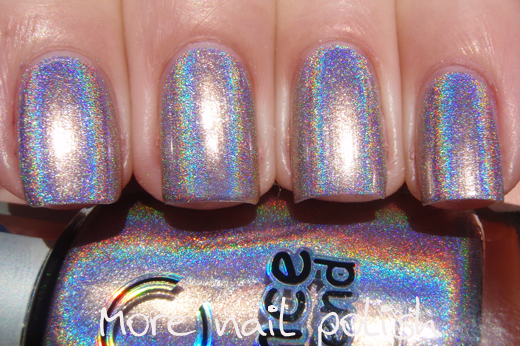 A fairly standard holo shade, colour wise its along the same lines as Ozotic 515, although the holo effect is completely different, with this being a much smoother and finer holo effect. 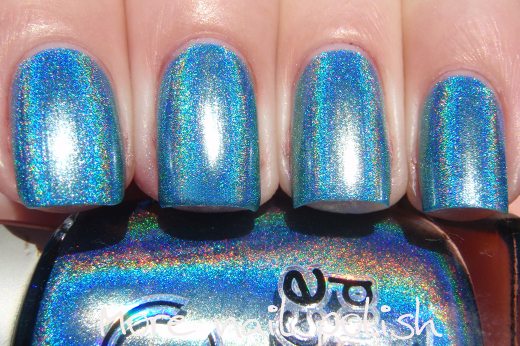 And now just a quick look at the other three Dance Legend holos I have that were covered in this post. 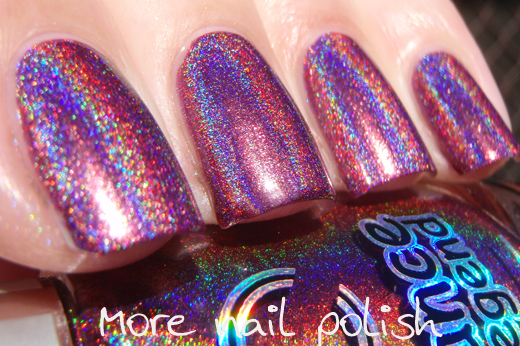 I have enabled - now go forth and blow your no buys for at least one of these polishes - you will not be disappointed! That's pretty much all I can say about this post! 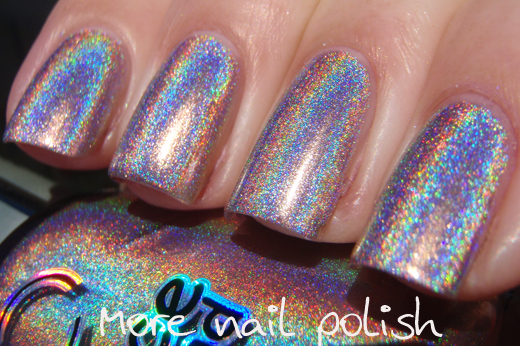 I adore holographic polishes - so much impact for so little effort. These are certainly stunners. Wowww! 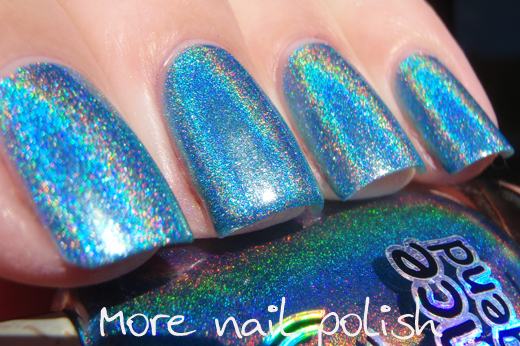 These are all amazing, the rainbow is so strong in all of them! These are really amazing. 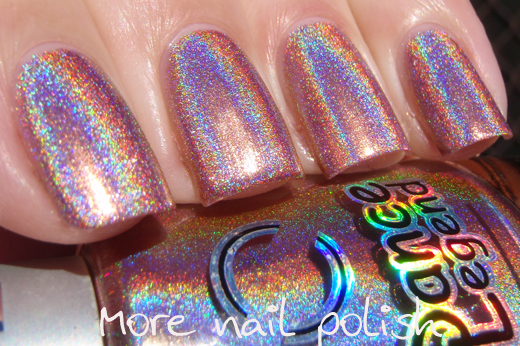 I love cosmic rainbow! Thanku for these swatches! They really help to see them in true form! So beautiful!